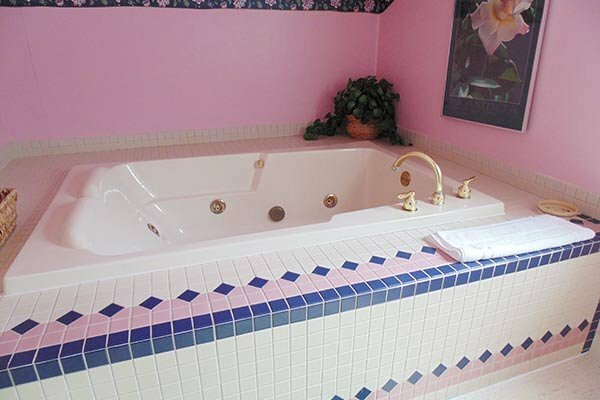 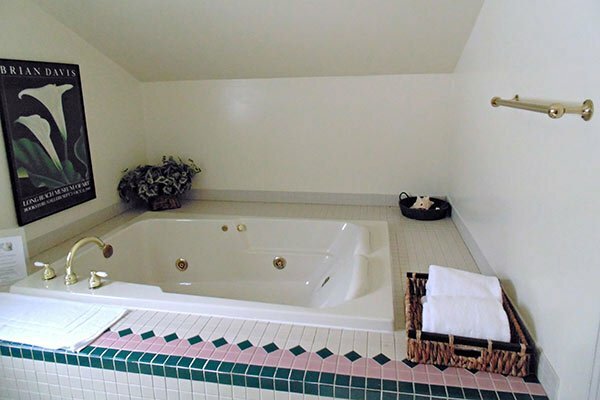 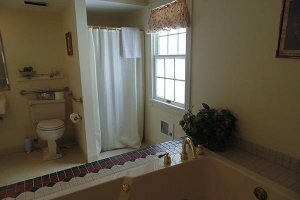 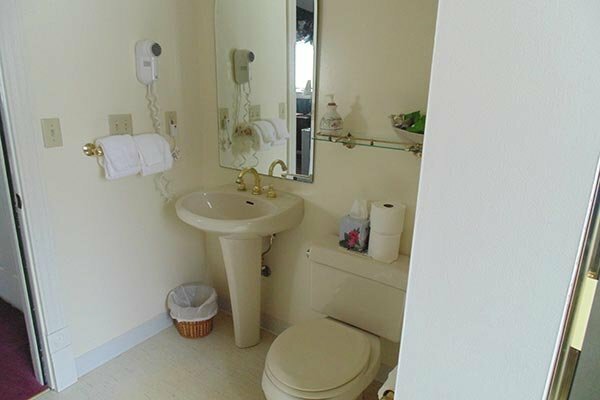 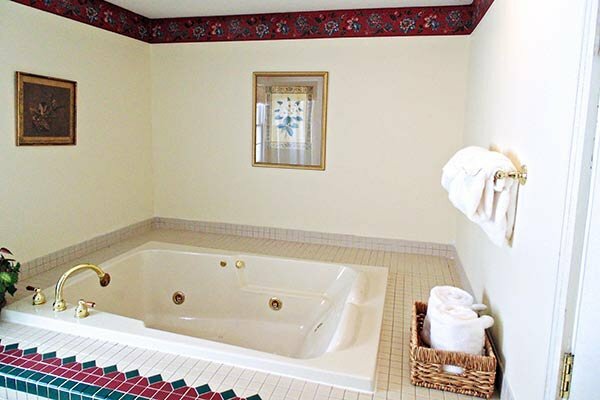 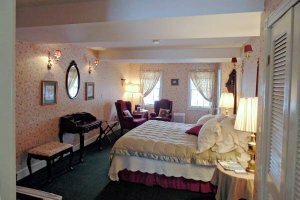 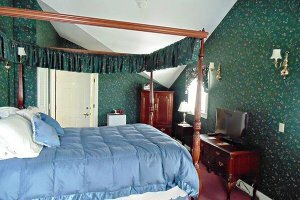 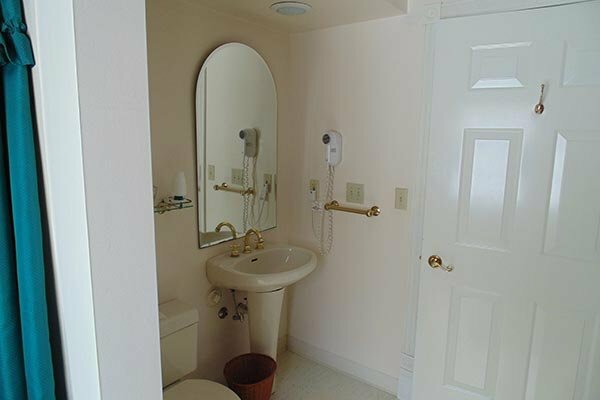 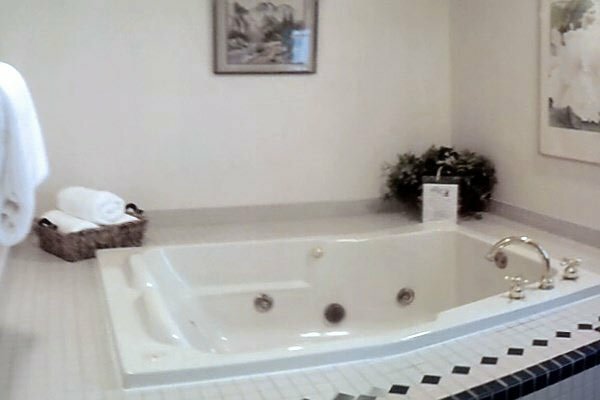 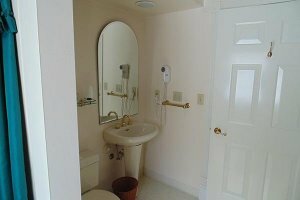 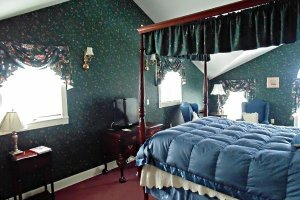 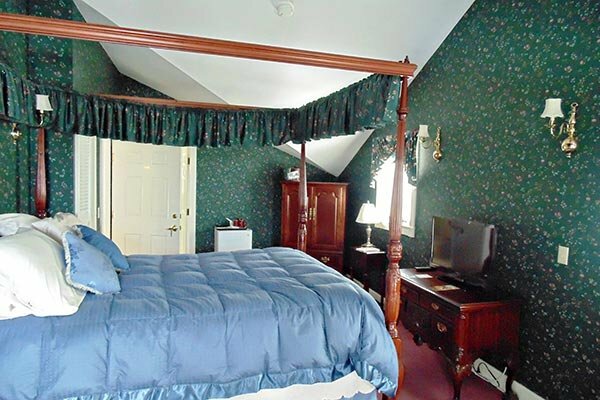 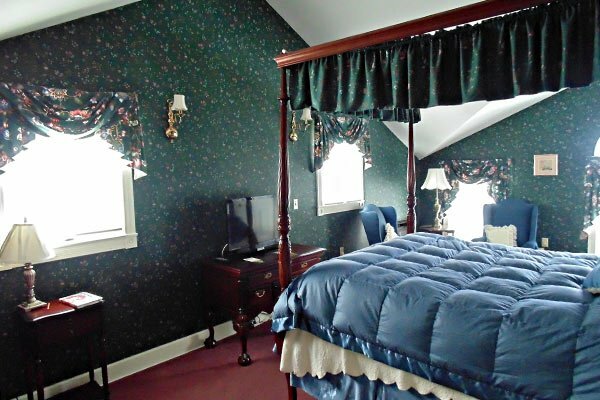 The Carriage House includes four rooms, two on the first floor and two on the second floor. Cream and burgundy wallpaper with a double jacuzzi and exquisite Queen Anne Wing chairs. 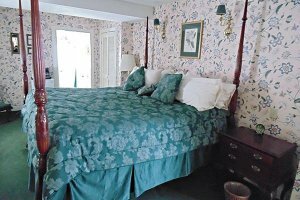 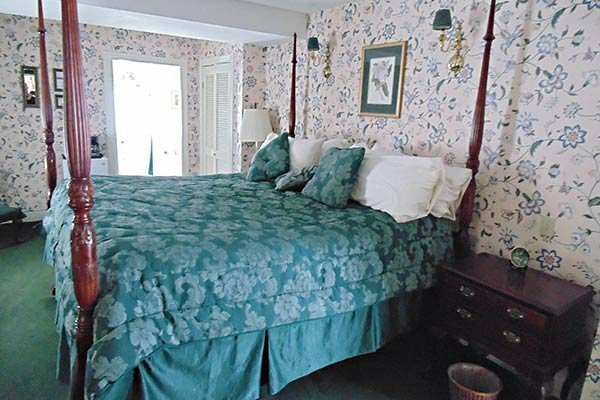 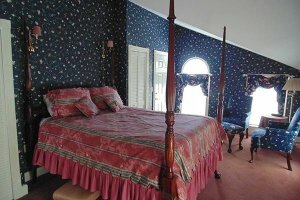 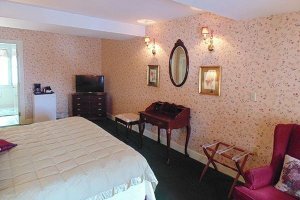 Extensive room with high four post bed, flowery wallpaper and fabrics, and delightful Queen Anne chairs. 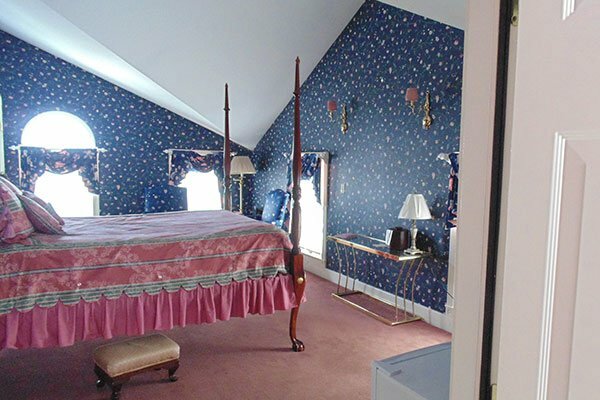 Reverberant room with vaulted ceiling, high four post bed, and Queen Anne chairs. 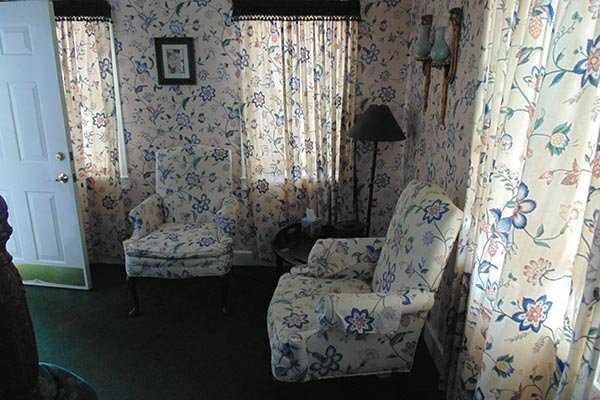 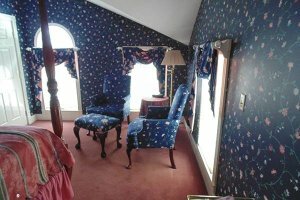 Flowery room with high four post bed, Queen Anne chairs, and vaulted ceiling.